Bramble Barn in Nantmawr, near Oswestry sleeps 4 people. 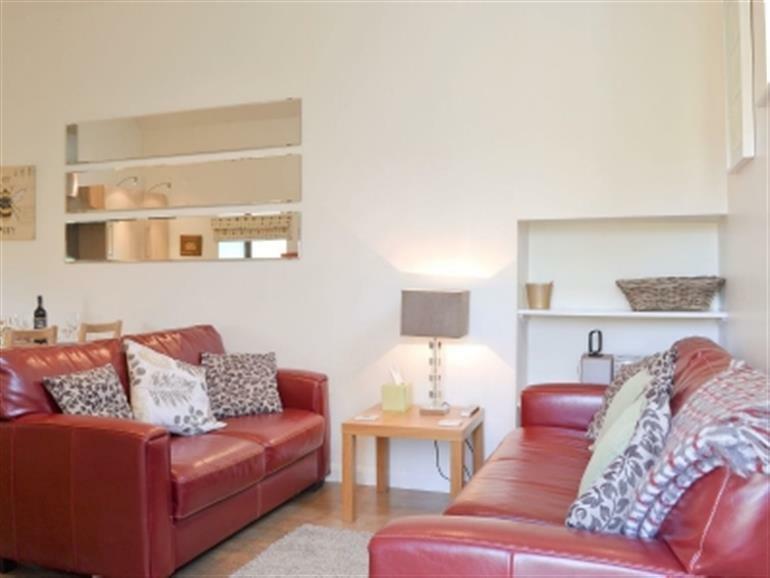 Bramble Barn is a well-presented detached barn conversion, adjacent to the owner’s home, with lovely views and a private garden. This holiday property is located on the Offa’s Dyke Footpath, in a peaceful setting at the end of the Tanat Valley on the Shropshire/Powys borders near Treflach, the Nant Mawr Visitor Centre, Tanat Valley Light Railway and nearby lime kilns. The market towns of Welshpool and Oswestry with a healthy selection of shops bars and restaurants are nearby. Visitors to the area will benefit from its central position where mid Wales, North Wales, Shropshire and Cheshire are all easily accessible. Discover Llanrhaedr Waterfalls (one of the seven wonders of Wales), Powys Castle, Chirk Castle, Lake Vyrnwy and Llangollen with its white water centre, all within a ½-hour drive. Other attractions close by include go karting, paintballing, horse riding, Lake Vyrnwy, Llangollen with its white water centre, horse drawn canal barges, motor museum and steam railway, and the medieval town of Shrewsbury. The shop is 2 miles, with the pub and restaurant 1 mile from Bramble Barn near Oswestry. Ground floor: Living/dining room/kitchen. 3 steps down to 1 twin bedroom. Bathroom with shower over bath and toilet. First floor: 1 double bedroom. Oil central heating, electricity, bed linen and towels included. Travel cot. High chair. Freeview TV. DVD. Electric cooker. Washing machine. Dishwasher. Table top freezer. Enclosed lawned garden with patio and furniture. Parking (2 cars). No smoking. Holidays at Bramble Barn near Oswestry run from Friday to Friday. Pets allowed at Bramble Barn. For a better idea of where Bramble Barn is, you can see Bramble Barn on the map below. 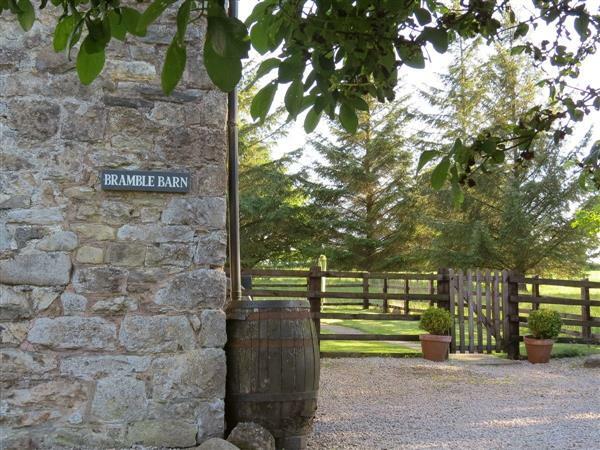 Bramble Barn is in Shropshire; should you be on the lookout for a special offer, you can find all the special offers in Shropshire. It's always worth checking to see what is on offer at the moment. Do you want to holiday near Bramble Barn (W43501), you can see other cottages within 25 miles of Bramble Barn; have a look to find your perfect holiday location.